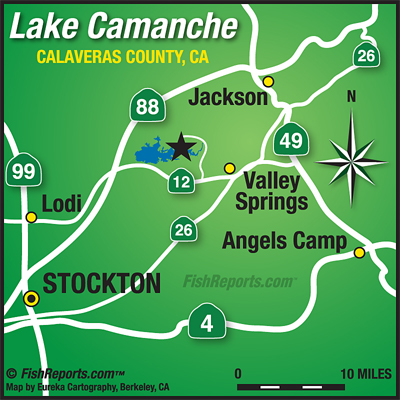 Lake Camanche continues to drop slightly and was 92% full with an elevation of 230.68′ at the time of this report. 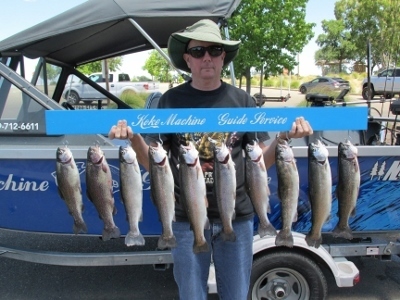 Lake Camanche was releasing 625 approx. C.F.S. into the Mokelumne River while receiving approx. 470 C.F.S from Lake Pardee. Pardee is back up to 99% full. No trout plants this week due to warm water temperatures. Planting will resume in the fall when water temps have gone back down below 68 degrees.